In this Microwave Journal Interview Jon Jacocks, president and CEO of Empower RF Systems, talks about trends in high power amplifiers and how they are evolving. The complete interview was published in December 2017 issue of Microwave Journal. Scalable Pulsed L Band Amplifier Family has an expandable system hardware architecture designed to save you money- " you buy only the power you need today" and add power amplifier blocks later when your application requires more output power. In addition to scalability, this amplifier offers an inherently rugged design and is based on our patented NEXT GENERATION architecture that virtually eliminates every internal connector found in the industries typical RF/Microwave amplifier system. RF Globalnet is the Internet's leading source of cutting-edge technical information for the RF/microwave design community. To provide this technical information, the site offers detailed coverage of the design and development of RF/microwave subsystems and components. Empower Model SKU 2180 (2kW Solid State Power Amplifier from 1 to 2.5 GHz in 8U chassis) has been named the Top Amplifiers of the Year 2015 by Everything RF. At 2KW CW this amplifier is ideal for Military and Aerospace EMC testing as well as pulsed HIRF tests for the automotive market. This amplifier provides excellent performance and because of its high power density and small footprint its ideal for test and measurement, electronic warfare, and communication applications as well. We want to congratulate our engineering team for achieving this award and thank Everything RF for their commitment to advancing engineering knowledge within the RF industry. EverythingRF.com keeps engineers up to date with the latest news, products, white papers and upcoming events in the RF & Microwave Industry. 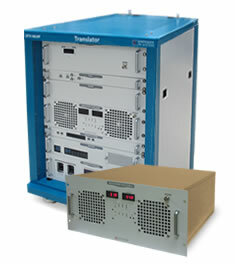 Everything RF provides searchable product database for the RF & Microwave Industry. Second patent awarded this year to Empower RF Systems which is directly related to our next generation power amplifier product line. 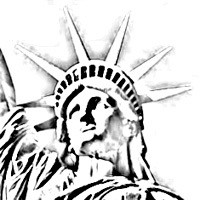 United States Patent 9,093,731 B2, awarded on July 28, 2015, further validates the uniqueness of the hardware architecture in use on Empower’s high power, next generation amplifiers. The ability to deliver 1 kW CW broadband power in an air cooled, 5U chassis (and other combinations of power and chassis sizes utilizing this architecture) requires innovation and engineering breakthroughs that are described and protected in this most recent patent award. Patent Approval "RF Power Amplifier and Method of Assembly for Same"
United States Patent 9,007,125 B2, recently awarded to Empower RF Systems, validates the uniqueness of the hardware architecture in use on Empower's high power, next generation amplifiers. The ability to deliver 1 kW CW broadband power in an air cooled, 5U chassis (and other combinations of power and chassis sizes utilizing this architecture) requires innovation and engineering breakthroughs that are described and protected in this patent award. "RF/microwave power-amplifier systems traditionally have been chosen based on their SWaP-C characteristics. But recently, factors like intelligent features are being added to the mix." This patent relates to a real time pre-distortion design and technique that is essential for broadband frequency hopping, which is especially critical for military radio communication. The main advantage of the new linearization approach is that pre-correction is being synchronized with the amplifier's distortion components in frequency, time and temperature. The BBS3K4AUT (SKU 2162) is a 1000 W high power amplifier that operates from 20 to 1000 MHz. It is suitable for ultra broadband high power CW, modulated, and pulse applications. The amplifier is constructed within one single 5RU drawer including the forced air-cooling. 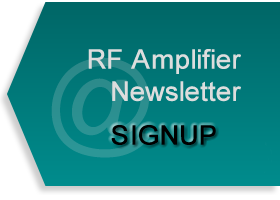 Specifically, one of Empower's At A Glance documents ( Amplifier Solutions for Electronic Attack) was a top 10 download from RFGlobalnet.com website and we are also specifically mentioned as a "standout technology" in RF Globalnet's number one editorial perspective (a summary of IMS 2013 observations). "Another year is drawing to a close, which means it's time, once again, for RF Globalnet's favorite - and easily our most popular - newsletter, the Top 10 edition. Now in its ninth year, the Top 10 is our annual look back at the news, articles, editorials, products, and downloads that you, our readers, clicked on the most." With over 500 suppliers on display at this major industry venue, the recognition as a top technology is notable. "Empower RF Broadband had its latest breakthrough - a 1 kW broadband amplifier in a 5U chassis - up and running at its IMS booth. Intended for applications like electronic warfare (EW) and test and measurement, the new air-cooled HPA covers the frequency range of 20 MHz to 1 GHz and is surprisingly quiet." Barry Phelps, current CEO, will be transitioning to the role of Executive Chairman of the Board. Jon Jacocks has been promoted to President and CEO of Empower RF Systems. Related to this, Rob Lauria, Empower's Vice President of Business Development, will expand his role and responsibilities to become Vice President, Business Development and Sales. 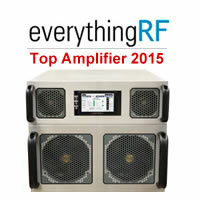 Empower's module SKU 1163 featured as "Top 10 RF Products from 2012 on Everything RF"
Empower's high performance, high power PA module 1163 has been chosen as a "Top 10 RF product from 2012" by industry sourcing site, everythingRF. The 1163 module is a 125W, 20 to 520 MHz, high performance product which delivers full power over the full bandwidth and over temperature. The everythingRF online newsletter which focuses exclusively on top products from 2012 was released on January 2, 2013. RF Globalnet's Top 10 newsletter, their annual year in review, was released on December 20,2012. The online edition features the news stories, articles, products, downloads, and editorials that were most important to their readers over the past 12 months. Empower's GaN amplifiers are in the 5th position in the "Top 10 Products and Services of 2012". Barry Phelps, CEO, was recently interviewed by Microwave Journal as a featured web posting. Read the details of the interview as he talks about the company's beginnings, market strategy, and the new "Size Matters" family of compact, high power amplifier systems. Related content from Microwave Journal, Empower's "Compare for Yourself" campaign product demos highlight size and power advantages, can also be accessed from this link. Following the successful debut and "live" demonstration of a 1 kW, next generation power amplifier in Montreal at MTT-S, the Editorial staff at RF Globalnet selected Empower's "Size Matters" for recognition as a Top Product. Industry observers and interested customers have endorsed this selection and interest in the product continues to increase. Empower RF Systems is pleased to announce the placement of a company "storefront" and related links on the RF Globalnet website. 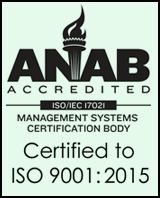 As a leading, global supplier of high power amplifier solutions, we serve a broad and web savvy customer base that expects to be kept "in the loop" on product announcements, application briefs, and performance breakthroughs. The relationship with RF Globalnet, a leading source of technical information for the RF / MW design community, is another in a series of investments we have made to keep our products and capabilities foremost in the minds of key designers and program managers in search of PA solutions. Empower RF Systems has launched a web linked and inventory backed program with Richardson RFPD to offer faster availability on a specific selection of standard, building block products in our most requested frequency bands and power levels. Empower hosted their worldwide rep network at a reception, dinner, and "mini-tradeshow" event as part of their commitment to provide timely updates and access to key management in support of business growth objectives. Key leaders from across the company, including executive management, engineering, operations, and business development were in attendance at the event and spent the evening discussing opportunities, highlighting key features of products/capabilities on display, and answering questions. The event was aimed at educating both established Empower sales reps and those completely new to the company through various presentations and Q&A sessions. Empower RF Systems, a leading manufacturer and global provider of solid state power amplifiers and amplifier based solutions celebrated the tenth anniversary of the company and also announced the appointment of Barry Phelps as CEO, effective November 1, 2009.
as part of its ongoing commitment to growth and customer support. Paulo Correa will be joining the Empower RF Systems Senior Leadership Team as the Vice President of Engineering. Bill Vassilakis joins the company as Chief Business and Technology Advisor. Empower RF Systems is pleased to announce the opening of a Regional Design Center located in Holbrook, New York. The establishment of the Regional Design Center expands the Company's engineering capabilities and will play a key role in product development, device evaluation, customer technical support and business development initiatives. Robert Lauria, Engineering Director and 25 year RF industry veteran, is responsible for leading the Regional Design Center technical team. Bill Liebman manages the overall operation and is also responsible for assigned business development activities. FCC orders to cease analog television broadcasts have left the networks scrambling to ensure complete airwave coverage by the February 2009 cutoff date. The new broadcast type-digital TV, or DTV-promises to bring vastly superior picture, sound and channel selection to the airwaves free of charge. Companies like Empower RF have stepped up efforts to develop miniaturized DTV transmitters that can strengthen weak signals and beam them into broadcast voids. Empower RF Systems, a leading manufacturer of radio frequency amplifiers, was named on Inc. magazine's "Inc. 500" list as one of the fastest growing companies in 2007. Empower was ranked 12th for electronics companies and reports a three-year revenue growth of more than 605 percent. On the larger "Inc. 5,000," a list encompassing 5,000 of the largest growth companies in America, Empower ranks 490th overall. Empower RF Systems, Inc. has launched a high-speed version of our Web site tuned specifically for use on mobile devices. 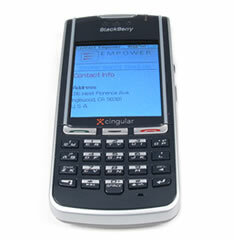 Accessing the site is as easy as going to www.empowerrf.com from a mobile Web device such as a RIM Blackberry. The new site enhances the customer experience with an interactive product selector, driving directions from the nearest international airport and allows easy, one-click access to Empower's sales team.